Named for a peace treaty that brought the War of 1812 to a close and reestablished America’s independence from Great Britain, Ghent, NY, has ever since been a peaceful town where independence and community have coexisted for two hundred years. 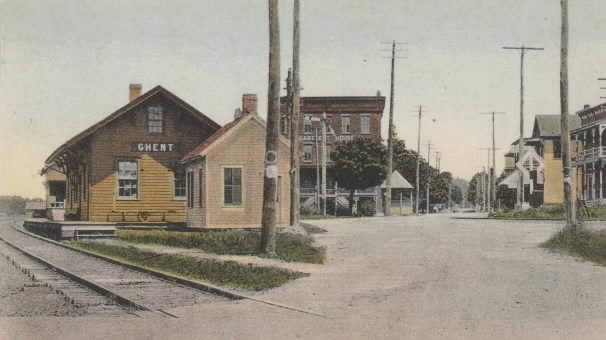 In 1818, the town of Ghent was founded from parts of the towns of Chatham, Claverack and Kinderhook. Ghent is a town in Columbia County, New York, United States, with a ZIP code of 12075. The population was 5,402 at the 2010 census. Ghent is centrally located in the county and is northeast of the city of Hudson. According to the U.S. Census Bureau, the town has a total area of 45.4 square miles.